Women are everywhere in the gospels. The sisters Mary and Martha. Jesus’ own mother. Mary Magdalene. A woman at a well in Samaria. A sinful woman who wiped Jesus’ feet with her tears and in return heard the words, “Your sins are forgiven.” Each tells us a story. Each also imparts important lessons about Jesus and the nature of trust in His person and His atoning work. Grace Bible Fellowship Church in Quakertown, which has hosted the Quakertown Conference on Reformed Theology since its inception in 2008, is offering a new two-day conference for women entitled, “Women at the Feet of Jesus.” Through five plenary sessions and a choice of workshops, the story of women who interacted with Jesus will be the subject material…and a rich subject it is! We are greatly honored to have Aimee Byrd, Megan Hill, Jane Roach, and Julie Lowe as the speakers for this first Quakertown Women's Conference. The conference is scheduled for May 18-19, 2018 in Quakertown, PA, less than an hour north of Philadelphia and 20 minutes south of Allentown. Women of all ages are invited to a time of teaching, worship, and edification. Please consider joining us. We know you will be blessed as, together, we sit under the teaching of God’s inerrant, authoritative, and life-giving Word. 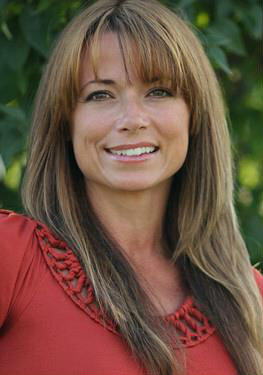 Aimee Byrd is an ordinary mom of three, lives in Martinsburg, West Virginia with her husband, Matt, and three children. Aside from that amazing gig, Aimee managed to make a fool of herself in martial arts training, survived college, dabbled in ceramics, owned a coffee shop (The Mudd Puddle), become a blogger, and does a little speaking on the side. Since her children's schedules have majorly cut into her social life, she has resorted to writing Housewife Theologian, Theological Fitness, and No Little Women, while keeping her blog alive and co-hosting a podcast with two no-name pastors. Megan Hill is the author of Praying Together: The Priority and Privilege of Prayer in Our Homes, Communities, and Churches. She serves on the editorial board for Christianity Today and is a regular contributor to CT Women, Christward Collective, and the Gospel Coalition. Her writing has also appeared in various publications including Today in the Word, Reformation 21, Focus on the Family, Desiring God, and Tabletalk. She lives in Massachusetts with her husband and four children. 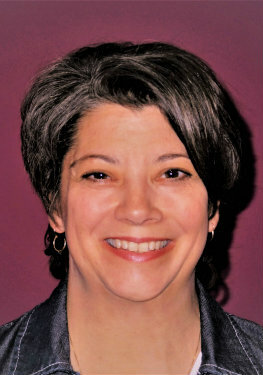 Julie Lowe is a faculty member at CCEF, holding an MA in counseling from Biblical Theological Seminary and is a licensed professional counselor with over fifteen years of counseling experience. 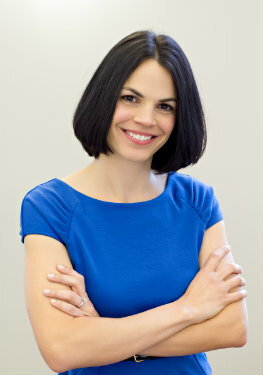 She has extensive experience with women’s issues, sexual abuse, body image issues, parenting, and child maltreatment issues, and regularly speaks at events on these topics. Julie is also a registered play therapist and has developed a play therapy office at CCEF to better serve families, teens and children. She is a trained facilitator for Stewards of Children, a non-profit organization that provides training on child sexual abuse. Julie has trained a therapy dog that she works with both professionally and on a volunteer basis. Julie and her husband, Greg, have six children and serve as foster and adoptive parents. Lisa Radcliff is a member of Grace Bible Fellowship Church, where she has been teaching Ladies Bible Study and volunteering in youth ministry for 30 years. 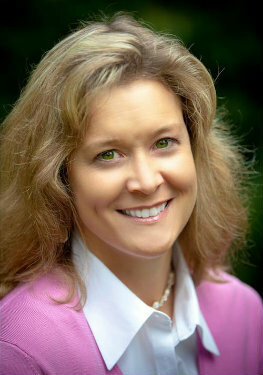 Lisa is a writer, blogger, speaker, and author of Hidden With Christ: Breaking Free from the Grip of Your Past. She is married to Doug, and they have three married sons and four grandchildren. Lisa loves baking and cooking PA Dutch specialties with her granddaughters. Her other hobbies include quilting, traveling, and raising Seeing Eye puppies. 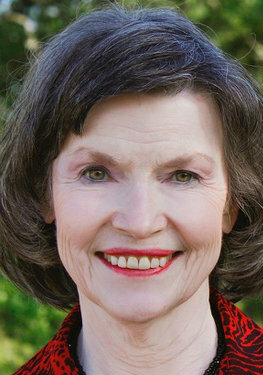 Jane Roach began teaching the Bible in Bible Study Fellowship (BSF) in 1978. Her work as Director of Training for the BSF global headquarters staff (1985 to 2011) included teaching and training BSF leaders and developing materials for both leaders and class participants. Prior to that she taught mathematics at San Antonio College and Texas State University while studying pure mathematics at The University of Texas-Austin. She currently assists with women’s ministries in her church (Trinity Presbyterian PCA in Boerne TX), develops and teaches materials for a women’s Bible study, and directs the adult choir. She is a conference speaker and author of two books: Joy beyond Agony: Embracing the Cross of Christ and God’s Mysterious Ways: Embracing God’s Providence in Esther. Jane and her husband Jim have one daughter, one son, five grandsons, and two granddaughters. Call the hotel directly and mention, "The Alliance of Confessing Evangelicals" to reserve the conference rate. Register for a simulcast of the Quakertown Women's Conference at Keystone Heights Presbyterian Church. 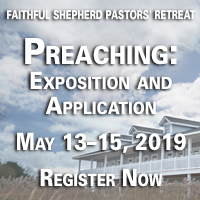 Join us for teaching and fellowship on May 18-19, 2018.